Earlier this month, Spinitar celebrated its 15th year hosting Chairman’s Club. 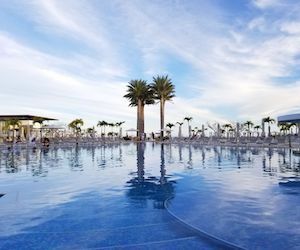 This year's event was held in Los Cabos, Mexico, at the Five Star, All-Inclusive, Le Blanc Spa Resort. In the attempt to discover what the hype is all about, I decided to sit down with the Event Chair, Kristin Gallo, to learn more about this year’s record-breaking event. 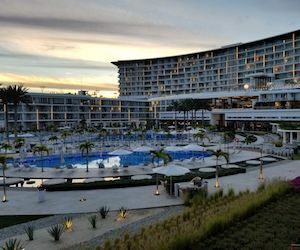 In this blog we will feature the inside scoop on Chairman’s Club 2019, and what it takes to qualify for this annual event. Q: What is Chairman’s Club? A: At Spinitar, Chairman’s Club is the platform for continuing our tradition of building relationships, exuding the Spinitar experience, and at the end of the day, having fun. As the coordinator for the annual event, it is my role to make sure the trip boasts amazing experiences for each individual who attends -- may it be their first or tenth time attending, it is my responsibility to provide a location, venue and atmosphere, all tailored to support Spinitar’s culture and traditions. Q: Why Does Chairman’s Club Exist? A: Chairman’s Club serves as Spinitar’s way of continuously recognizing the best-of-the-best in our employees and industry partners. 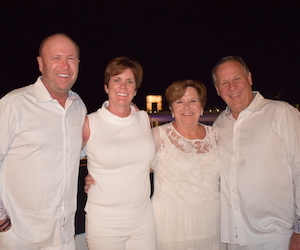 Our owners, Jeff Irvin and Jay Rogina see value in celebrating the accomplishments of our people and partnerships, and feel there’s no better way to do that than by recognizing them in world class environment, such as Le Blanc Spa Resort. Q: Who Gets Invited To Chairman’s Club? A: What’s unique about Chairman’s Club is that everyone has a path to qualify for this trip, including sales, teams, admin, etc. Chairman’s Club is achieved by those in sales who have met and surpassed all sales quotas. Top employees who have been recognized and nominated by their peers for going above and beyond throughout the year are selected as Employees of the Quarter or Employee of the Year. 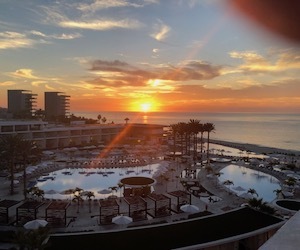 Our top performing UC teams attend the trip based on exceeding specific financial goals. Our Coaches have specific metrics by which they are measured by, providing them an opportunity to qualify as well. In addition to Spinitarians who attend the event, Spinitar also invites our manufacturer partners who support us throughout the year. 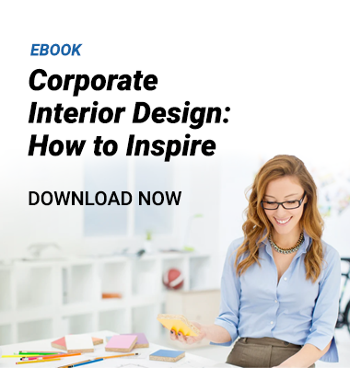 Each attendee, whether employee or partner, is invited to bring a guest. This year, we hosted our largest group ever with 120 attendees. Q: What Were Some Of The Highlights From Chairman’s Club 2019? A: What happens at Chairman’s Club stays at Chairman’s Club...Haha, just kidding. Typically we host several events throughout the trip. The first is a “White Out Welcome Reception” where we ask all attendees to dress in all white. The following day is a team building event. In the past this has included cardboard raft building and race, lip sync battles and most recently a scavenger hunt around the property. 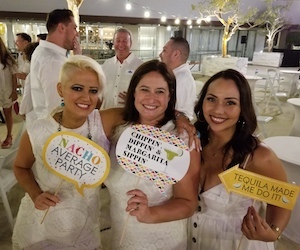 There have been partner sponsored events hosted at the resort such as poolside tequila tastings, cooking classes, cocktail mixology, as well as other excursions. These excursions have included snorkeling, swimming with whale sharks, deep sea fishing and sunset cruises. The final night is the culmination of the week spent with a cocktail reception, awards dinner and celebration of the accomplishments from the previous year. 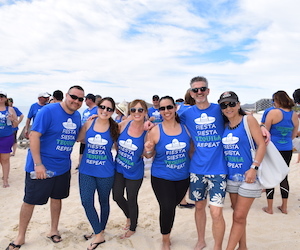 In between these schedule events is plenty of free time spent enjoying the pool, eating, sleeping and creating experiences and memories with our fellow employees and industry partners. Q: What Is The Overall Experience at Chairman’s Club? A: My hope is that what people get from this experience is the spirit of community and family that we try to cultivate within our company each day. We do consider our Spinitar friends as our family, and we hope that the time and energy we put into this trip allows each person who attends to feel that they have been welcomed into the community where outstanding people can accomplish extraordinary things. Consistent feedback from attendees over the years has been that of gratitude, not just for providing them with a unique opportunity to travel, but for also recognizing their efforts. Q: What Makes Chairman’s Club Special? A: Chairman’s Club is special in that it involves our manufacturer, distributor, and service partners and employees spending time away from their typical work environment, cultivating long standing relationships with those on the trip, in just a matter of days. The relationships built during Chairman’s Club last far after we return to our daily lives. In my opinion, what truly makes Chairman’s Club special are the people who attend, and the celebration of accomplishments. Katie Rogina oversees marketing efforts for Spinitar and is the Chair of the Annual Golf for Hope event, benefiting City of Hope. Katie came to Spinitar with a degree in Journalism and minor in Communications from Cal State Long Beach. When she isn’t active in the world of social media and marketing, Katie enjoys spending time with her family and friends on a lake or outdoors somewhere.